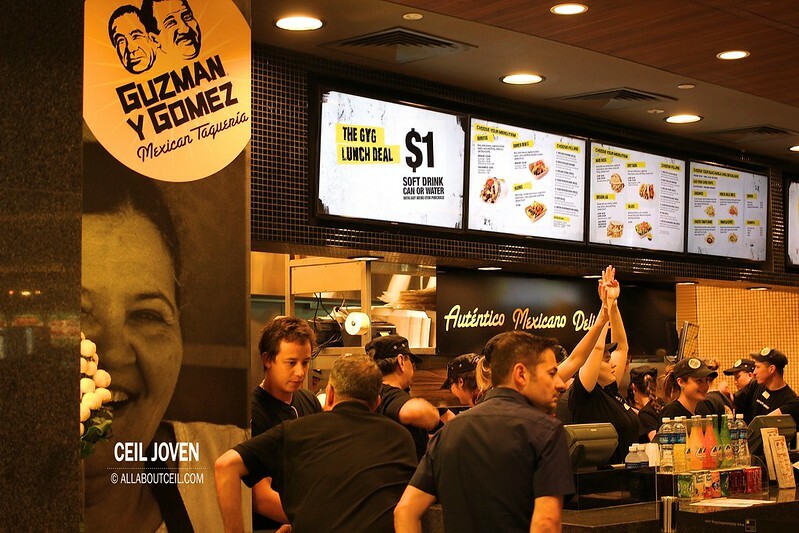 ALL ABOUT CEIL: Guzman Y Gomez is in Singapore! 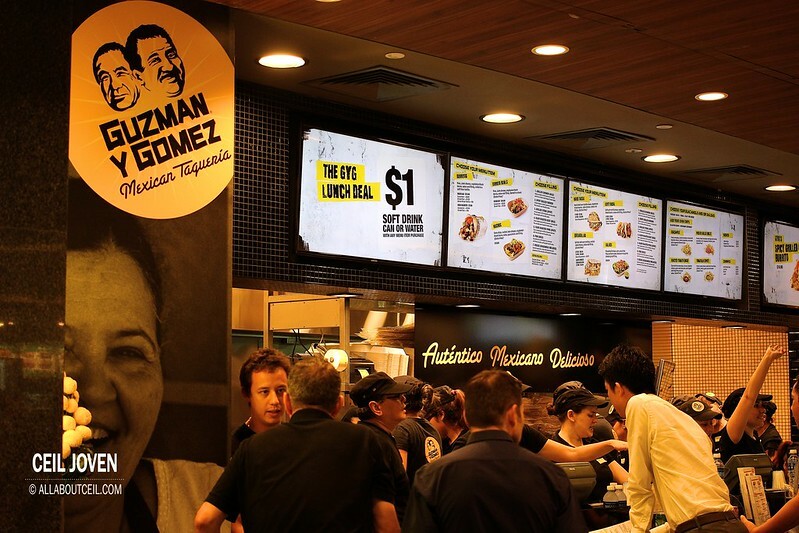 Guzman Y Gomez is in Singapore! I was there on their Opening on 24 October 2013. Were you there too? I was there on their Opening day. They occupied a stall in the Food Garden. 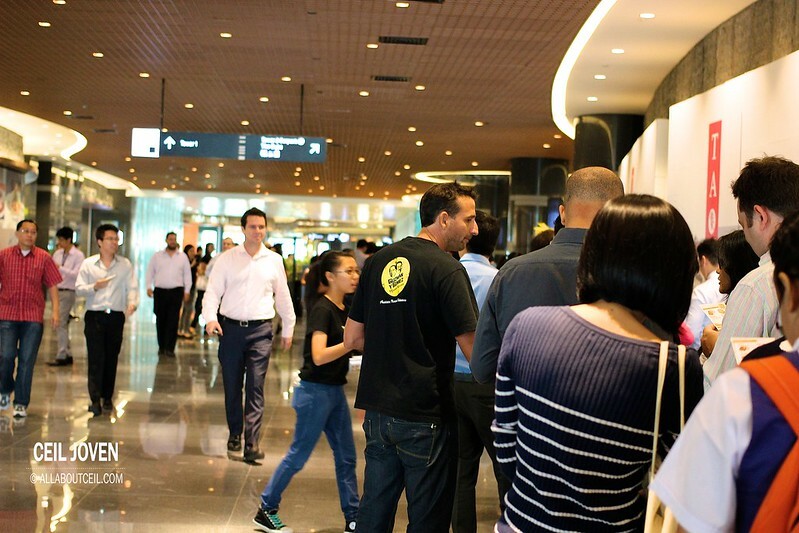 The escalator at the Tower 2 will bring you right to the level where the stall is located. 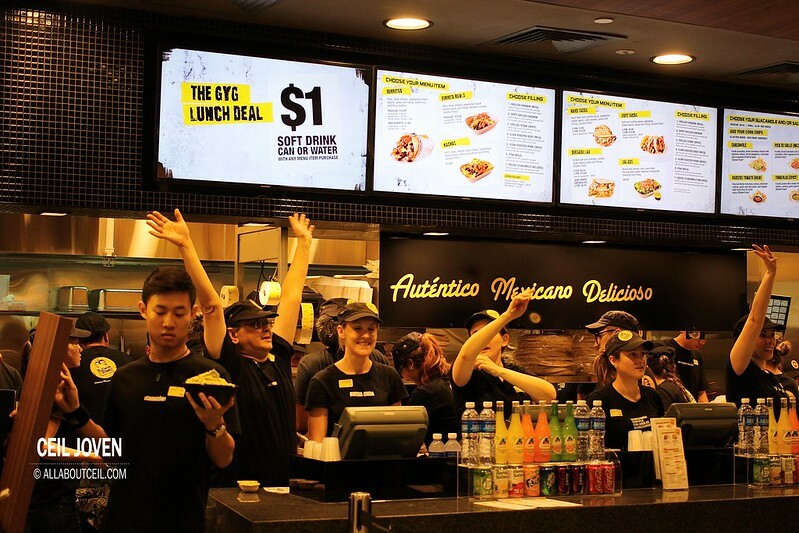 And, they operated like a Fast Food outlet. The items and prices are available on the Menu Board right above. To continue their culture in Australia, a party was held on their opening. 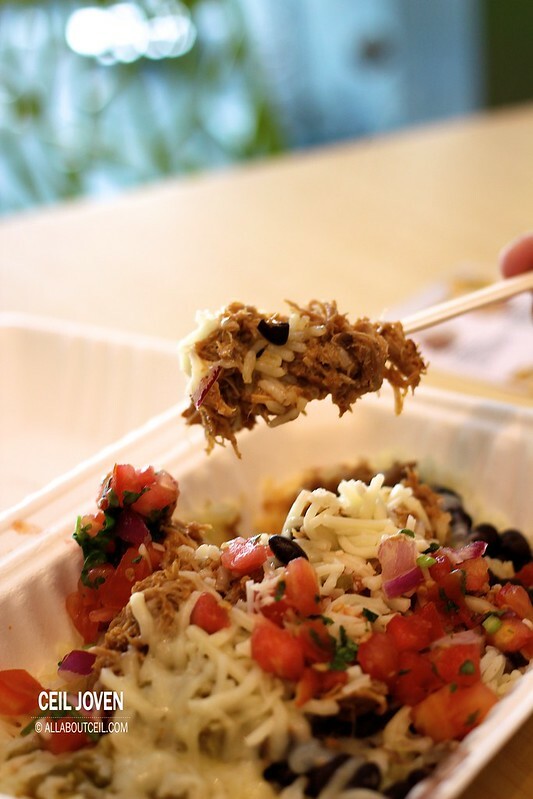 On this day, free burritos and burrito bowls were given from 11.00 am to 4.00 pm. I was there early to join in the queue before it gotten too long during the lunch time. 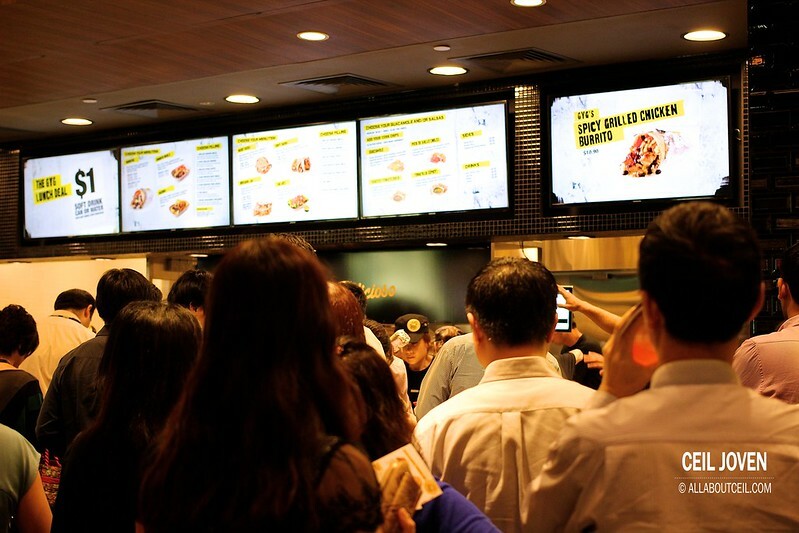 The queue was expectedly long but it moved rather quickly so the waiting time was a short one. 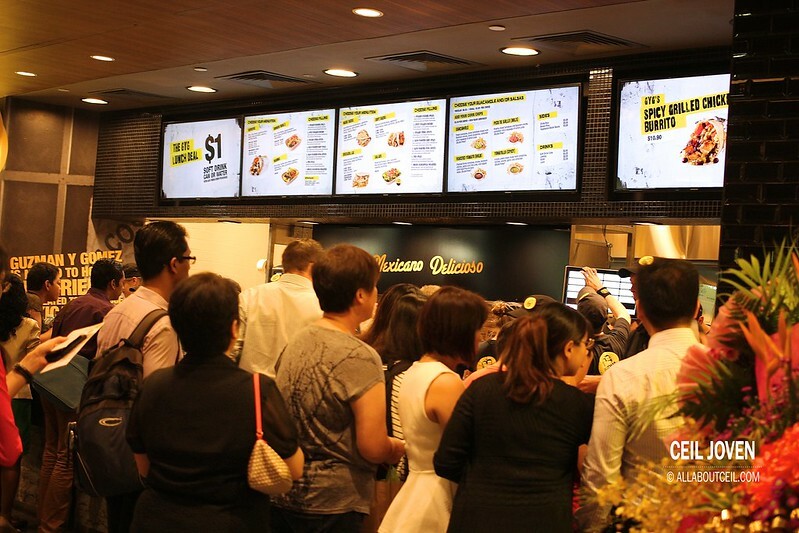 Staffs were giving out the menu to those in the queue. They even made the effort to answer the queries as well as to do recommendation. 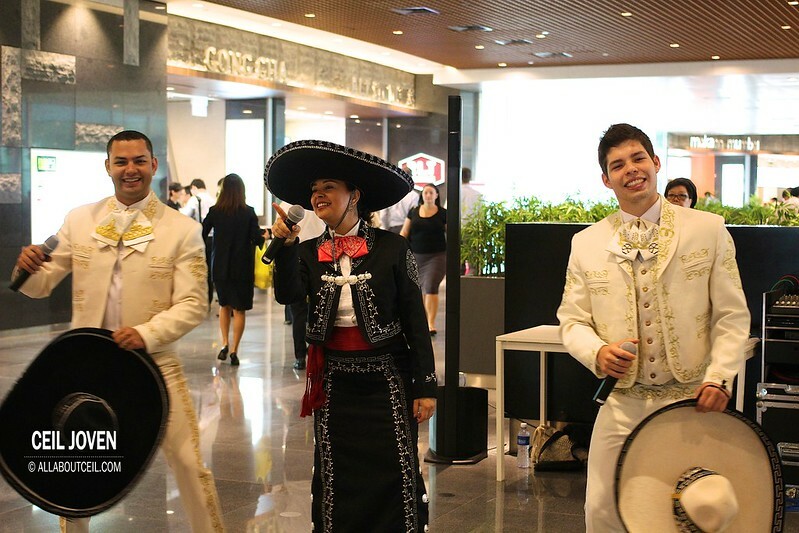 We were entertained by the Mariachi Band that flew in from Columbia for this special day. Staffs were walking around with Corn Chips and Guacamole dip. Steve, the founder himself was right there, too. He was at the front of the queue. 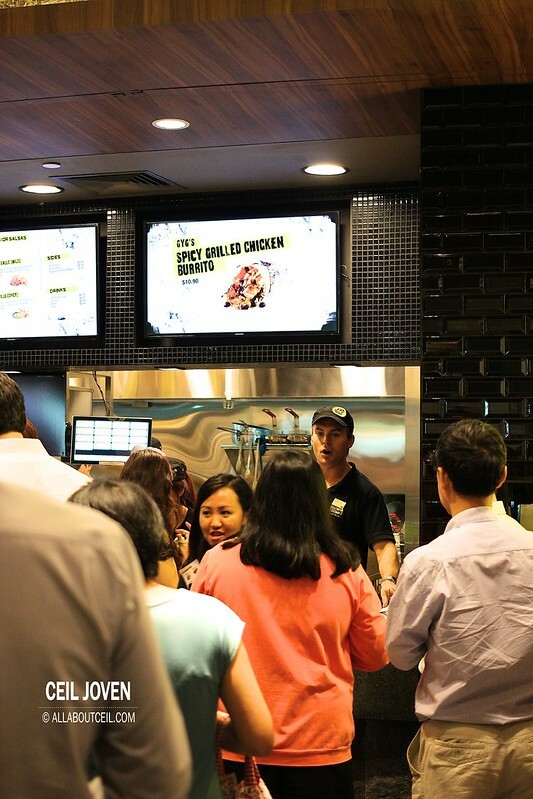 He made an effort to make recommendation before ushered those in line to the counter to place the order. 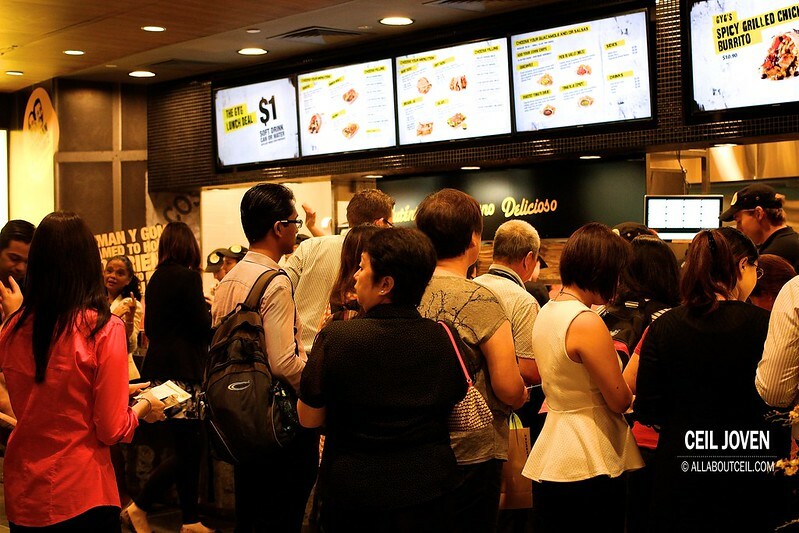 I would say the service was very attentive despite the long queue. Though crowded but it was a smooth transition. 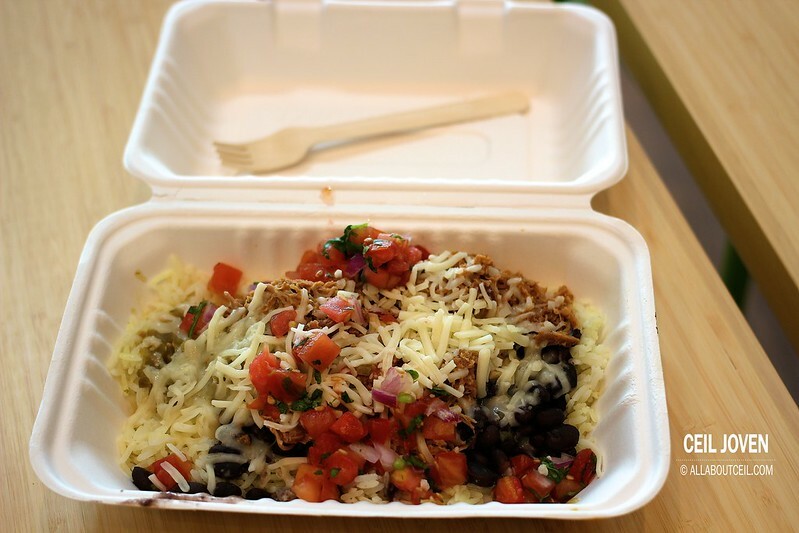 We were expected to choose between the Burrito and the Burrito Bowl then to choose the type of fillings to go with it. Full menu was not available on that day though. 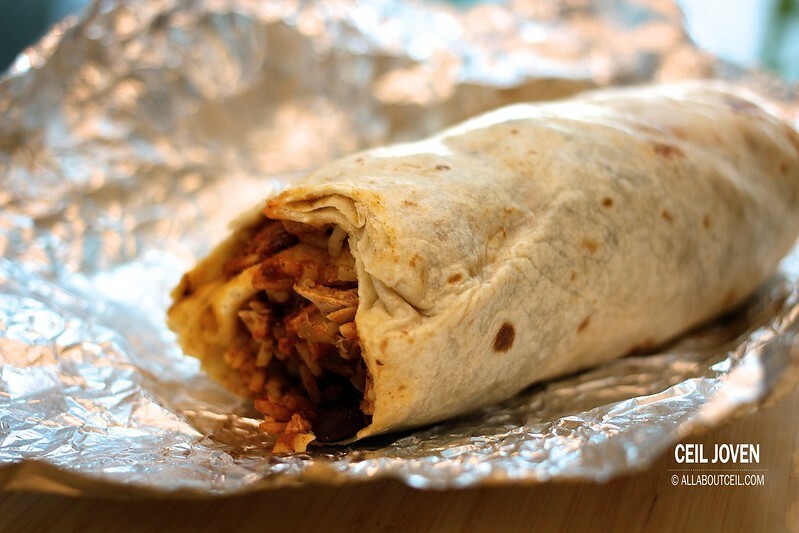 There are Burritos, Burritos Bowl, Soft Tacos, Hard Tacos, Nachos, Quesadillas and Salads are available on their full menu. 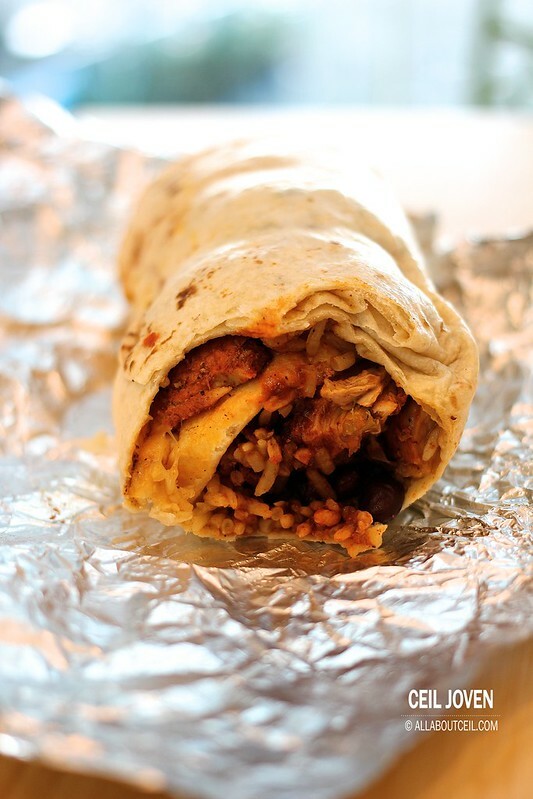 Burritos: It consists of Rice, Jack Cheese, Vegetarian Black Beans, Salsa and choice of Filling rolled in a soft flour Tortilla. 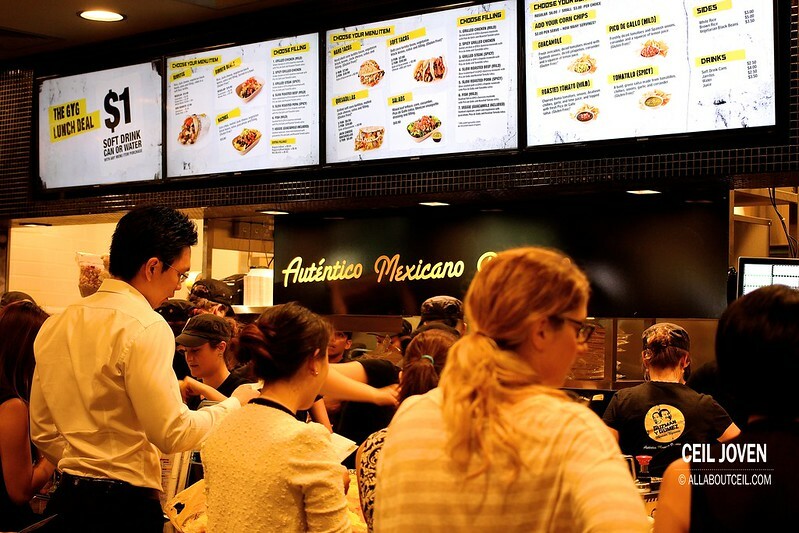 Choices are available to choose between the Regular ($10.90) and Mini Burrito ($7.90). 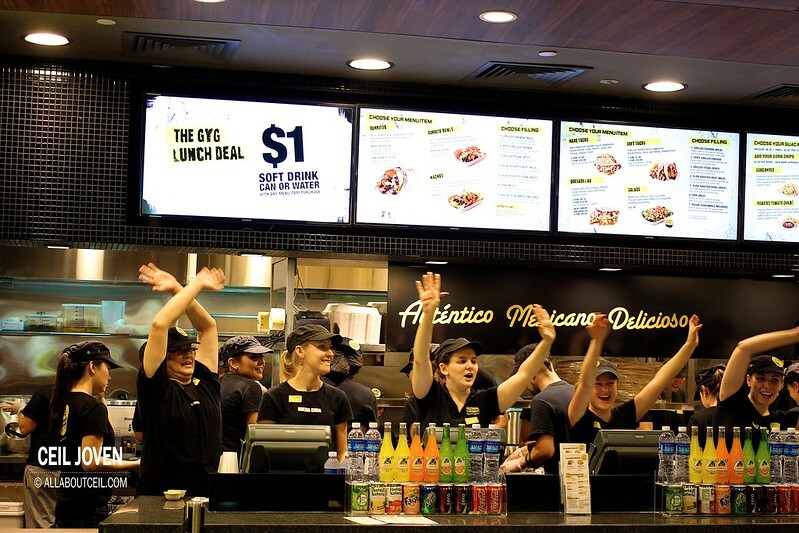 Selections can be made between the Guacamole to the Regular at $2.00 and to the Mini Burrito at $1.00 with the Brown Rice to the Regular at $1.00 and to the Mini Burrito at 0.50 cents. Whole Wheat Tortilla is at 0.50 cents. 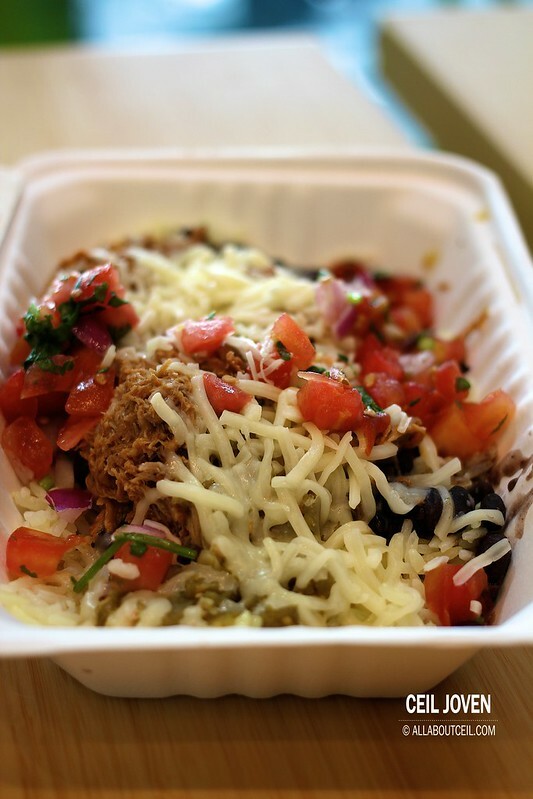 Burrito Bowls: It consists of Rice, Jack Cheese, Vegetarian Black Beans and choice of Filling served in a bowl. Guacamole is available at $2.00 and Brown Rice at $1.00 for selection. Soft and Hard Tacos: It consists of Soft Corn Tortilla Tacos served with Vegetarian Black Beans, Salsa and choice of Filling. Selection of 2 pieces is $7.90 and 3 pieces at $10.90. Side of Guacamole is available at $2.00. Cheese is priced at 0.50 cents per Taco. 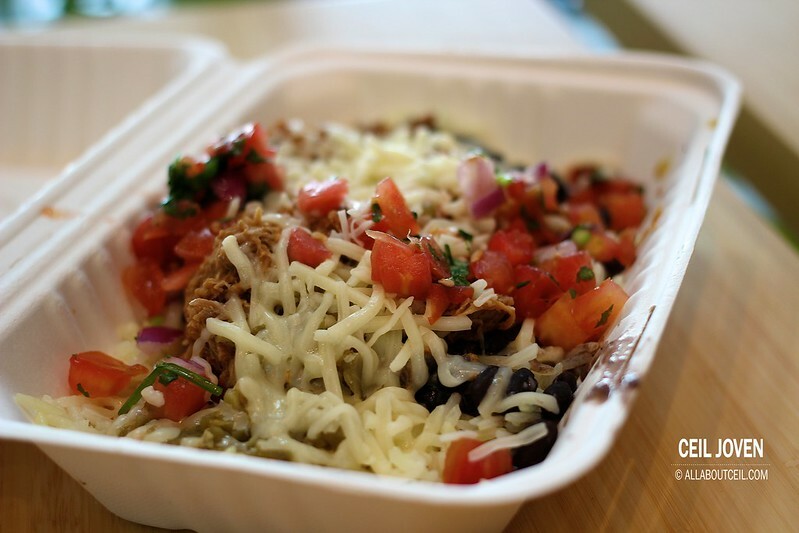 Nachos: It consists of Corn Chips, Melted Jack Cheese, Vegetarian Black Beans, Salsa, Guacamole and choice of Filling at $13.50. Quesadillas: It consists of grilled Soft Corn Tortillas, Melted Jack Cheese, Salsa and choice of Filling. Selection of 2 pieces is $8.50 and 3 pieces at $10.90. Salads: It consists of Mixed Leaf Lettuce, Corn, Cucumber, Pico de Gallo Salsa, Mexican Vinalgrette Dressing and choice of Filling at $12.50. The service staffs were helpful in recommending their popular choices of fillings when encountered difficulties in making choices. 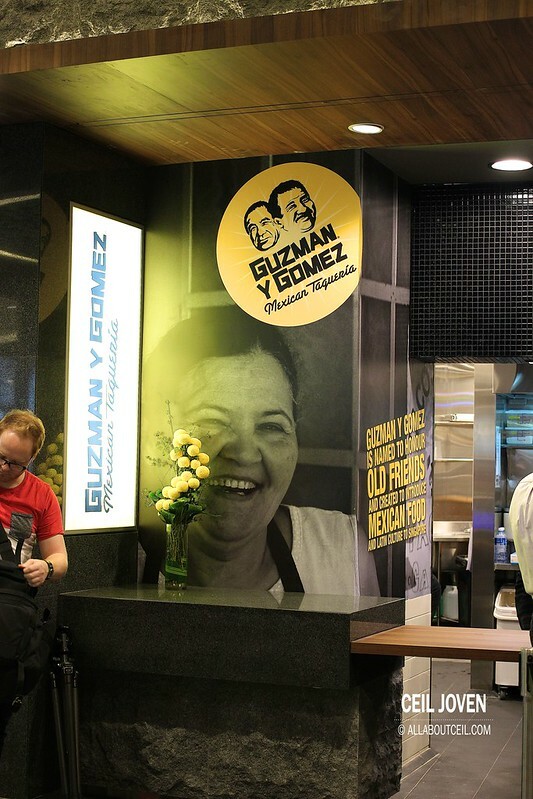 Selection of Fillings are Grilled Chicken (Mild), Grilled Chicken (Spicy), Grilled Steak (Spicy), Slow Roasted Beef (Mild), Slow Roasted Pork (Spicy), Fish (Mild) and Veggie (Guacamole included). Grilled Chicken (Mild): Grilled Chicken in their special Guerrero marinade with Pico de Gallo and Roasted Tornato Salsa. Grilled Chicken (Spicy): Grilled Chicken in their special Guerrero marinade with Pico de Gallo and Tomatillo Salsa. Grilled Steak (Spicy): Grilled Steak in their special Chipotle marinade with Pico de Gallo and Tomatillo Salsa. Slow Roasted Beef (Mild): Slow Roasted Beef in their special Guerrero marinade with Pico de Gallo and Roasted Tornato Salsa. 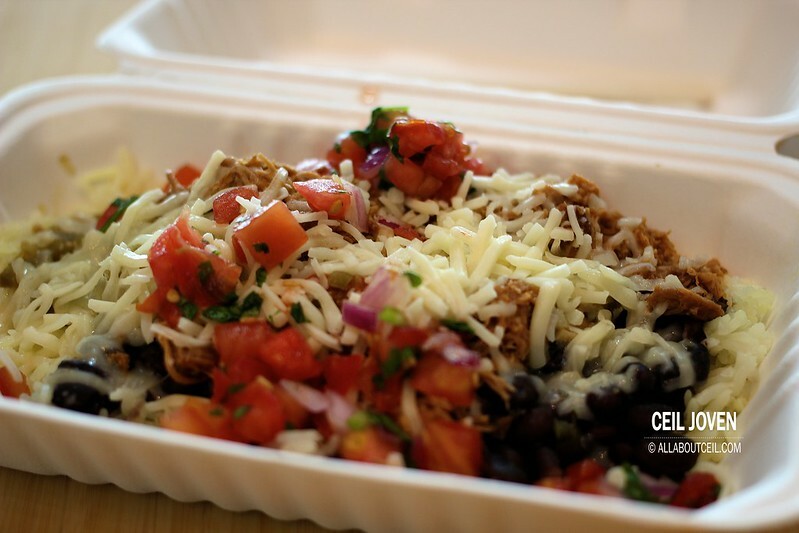 Slow Roasted Pork (Spicy): Slow Roasted Pork in their special Chipotle marinade with Pico de Gallo and Tomatillo Salsa. Fish (Mild): Sauteed Fish in their special Guerrero marinade with Pico de Gallo and Roasted Tornato Salsa. Veggie (Guacamole Included): Sauteed Capsicum, Onion and Mushroom with Guacamole, Pico de Gallo and Roasted Tomatillo Salsa. 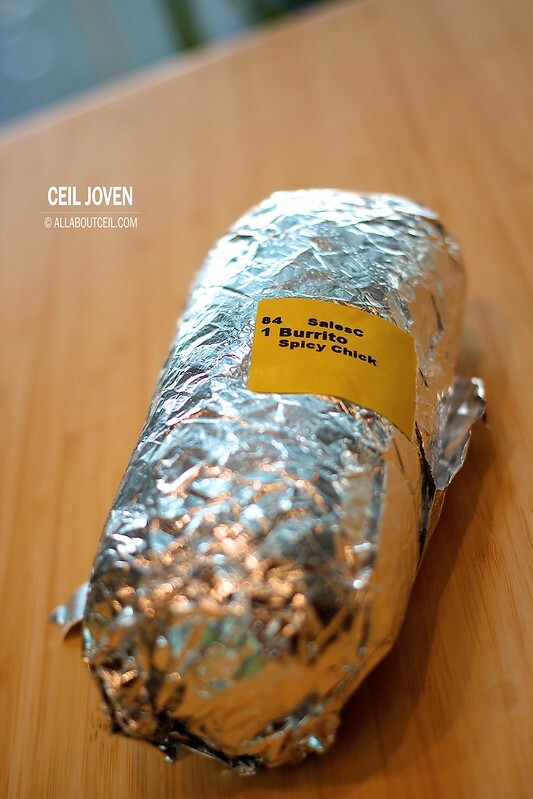 Extra filling for Regular Burrito & Bowl is $3.00. 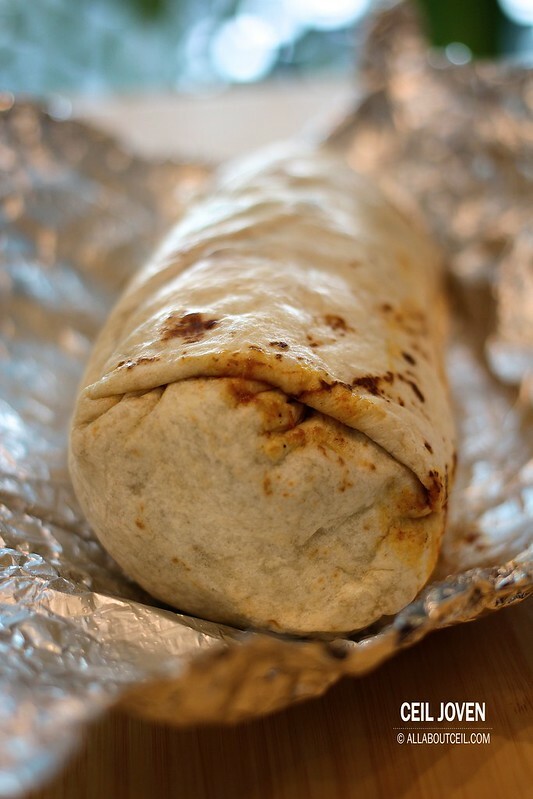 Regular Burrrito & Bowl Veggie is $2.00 and Mini Burrito is $1.50. A printed receipt was given with a number. We were asked to proceed to queue right at other counter and waited for the number to be called. 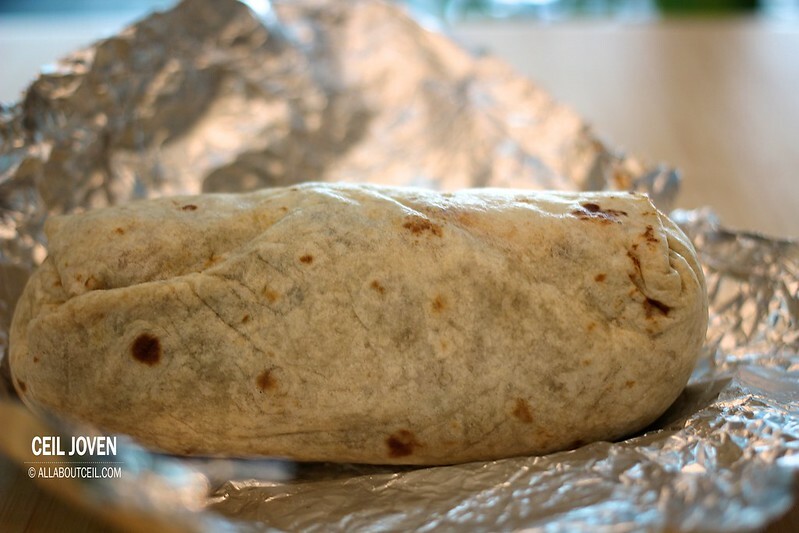 I waited for a couple of minutes before collected the burrito. My lunch partner collected his burrito bowl at the same time. It did not serve in a bowl as expected but a disposable box rather simply to those used for taking away in most eateries here. It did not serve with a plastic fork but a biodegradable fork. 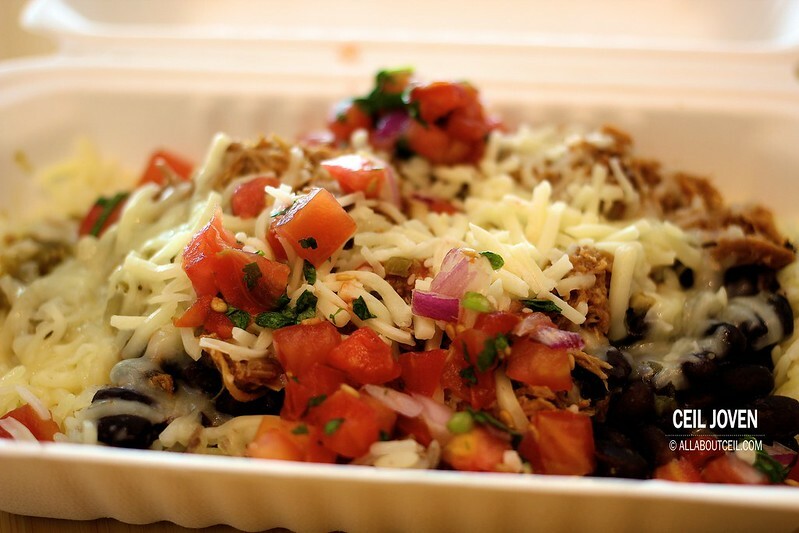 A generous amount of Slow Roasted Pork was served with Jack Cheese, Salsa and Black Bean together with a good portion of rice. First impression was it did not taste as spicy as expected though it is supposed to be the spicy version. The texture of the pulled pork was rather soft with a noticeable tenderness. 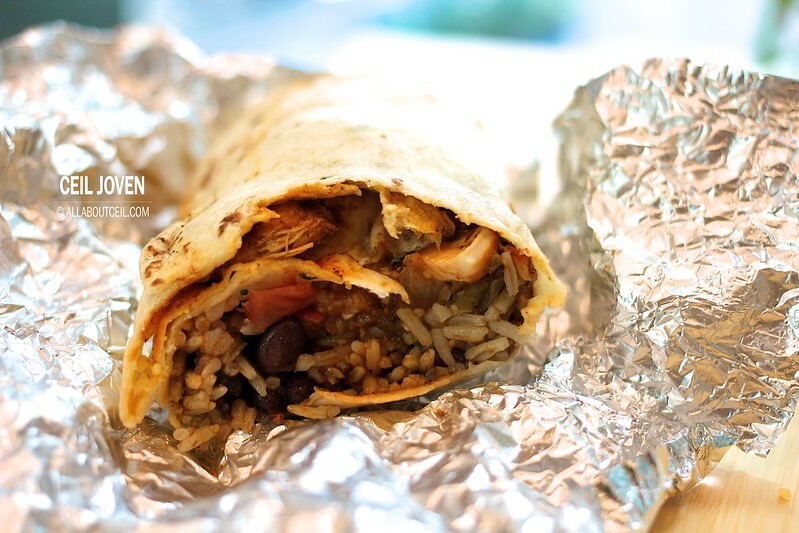 It tasted well when mixed it with the rice and a bit of Salsa with some Black Beans. It was a hearty selection for a quick and rather healthy tasting lunch. The right amount of cheese added did not make it any sinful though. 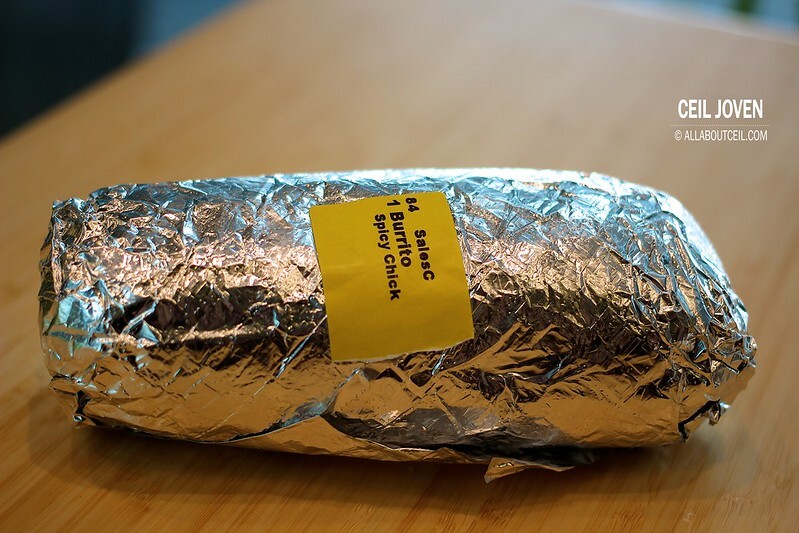 The Burrito was nicely wrapped in a piece of aluminium sheet with a sticker stating the same number printed on the receipt and the type of filling it. I could feel the slight warmth when held it in the hands. It was quite a massive one and weighted quite heavy. It was a firmly wrapped roll and made it rather easy to eat. The first thought was it would be definitely be an ideal selection for lunch when on the go. I took a bite lightly to remove the skin of Tortilla at the end to take another picture of the ingredients in it. It tasted slightly spicier as comparable to the Slow Roasted Pork i tasted earlier. The grilled chicken reminded me of those from Nando's. 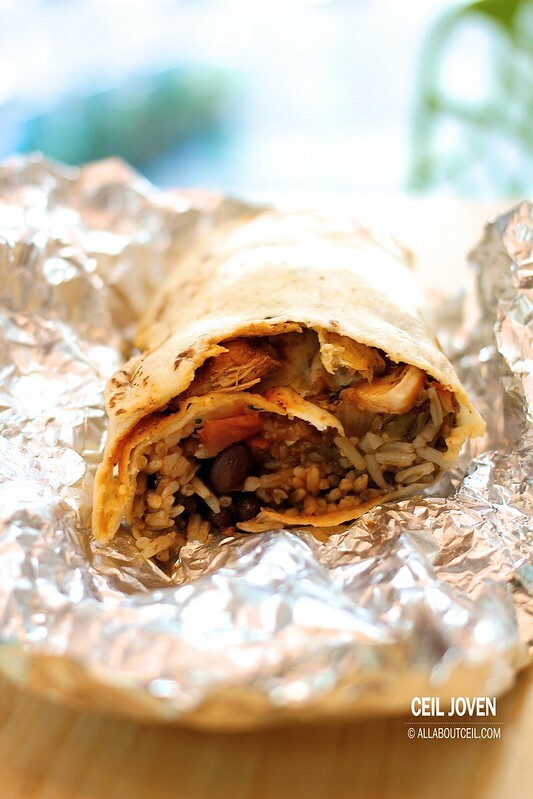 I would think the filling was of a generous amount particularly the amount of black beans and rice in it. 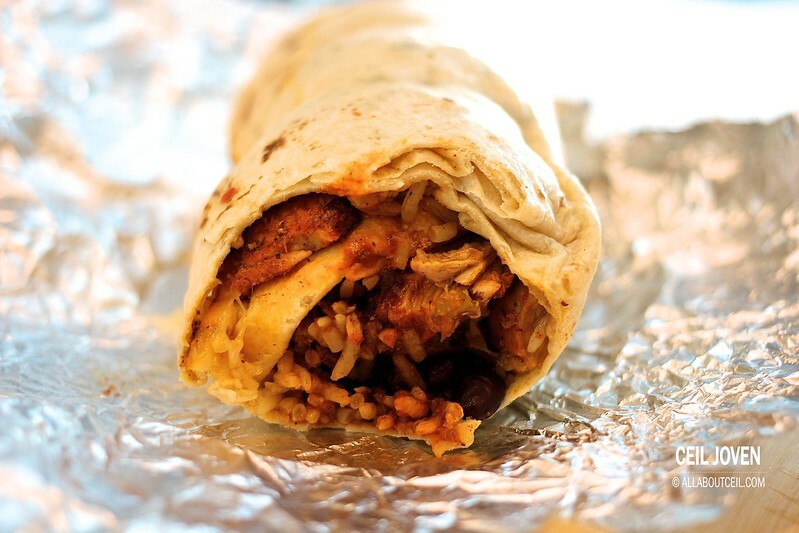 It might be better to choose the Mini Burrito for ladies wanting a light lunch. The impressive service provided by the high spirited team on that day is worth commendable. I hope such a standard is to be maintained to deliver the same good standard of foods served. Though it might not be the best Mexican foods that i had but the affordable price is making it a worthy choice.